"All I have told is true, but it is not the whole truth." 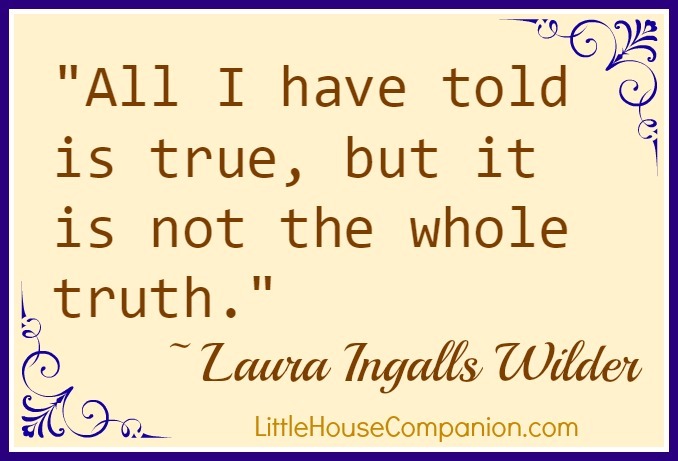 According to Pamela Hill Smith, Laura Ingalls Wilder stated that during speech at the Detroit Book Fair in 1937, prior to her fame, though certainly a popular children's book author. It was at that time that On the Banks of Plum Creek was published. Many assume because her children's fiction was based on her life, it was an autobiography. However, it is only autobiographical fiction, much like the Betsy-Tacy books. Not only did she change the truth to create better stories, but she also altered the truth for her audience of children. 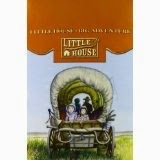 Are you curious how this storyteller changed her story to create the Little House books? In By the Shores of Silver Lake, Pa showed Laura how the men built the railroad. However, she never actually went to see it. The firsthand account improves the story so she shared her fictional reaction. Nellie Oleson never existed. However, the character is based upon three girls from Laura's childhood and adolescence. One of them had the first name of Nellie. Jack's death was described in By the Shores of Silver Lake. In Pioneer Girl (LIW's autobiography, which you can preorder now), Laura shares when the horses Pet and Patty were traded for a larger pair of horses, Jack wanted to stay with Pet and Patty. Pa included Jack in the trade. 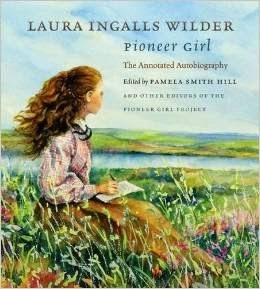 Having read the manuscript of Pioneer Girl and multiple biographies of Laura Ingalls Wilder, these are not new facts to me, but I enjoy the reminders. In my review of Pioneer Girl, I discussed my biggest surprise of fact vs. fiction.